KANSAS CITY, MO, September 10, 2018 – Bay Area fleets have a unique opportunity this Thursday to see Orange EV’s 100% electric Class 8 truck at the Bay Area Metro Center in San Francisco, California. Please register and join us this Thursday in San Francisco. 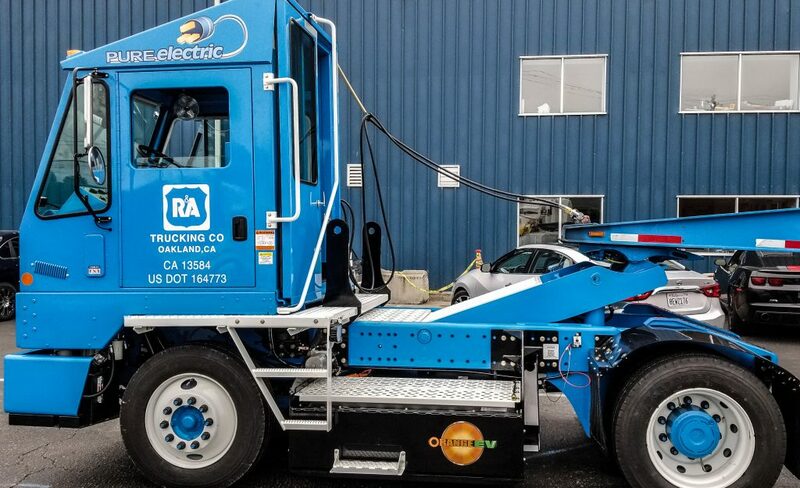 The Bay Area Air Quality Management District (BAAQMD) invited Orange EV to exhibit its T-Series pure electric terminal truck at the Climate Technology Marketplace on September 13th, 4-7pm. 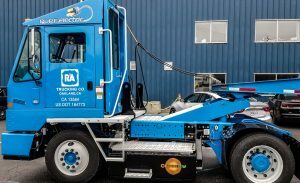 Orange EV will showcase a truck recently deployed by R&A Trucking Company, a Bay Area intermodal freight transport company offering warehousing and distribution services. The BAAQMD is bringing together clean tech providers with potential customers, showcasing technologies in commercial, industrial, and transportation sectors. The Climate Tech Marketplace is an affiliate event of the Global Climate Action Summit, a week-long event to inspire and encourage climate action commitments. Orange EV’s pure-electric Class 8 trucks have been commercially-deployed since 2015. Fleets interested in attending the Climate Tech Marketplace must register in advance.